The Acura MDX is a perfectly nice, fine, reliable SUV, ideal for hauling your kids to whatever ultimately inconsequential after-school activity they’re into; aggressive and interesting it is not. It seems the MDX is about to get a little more of both, and maybe a lot less of that much-loathed shield grille. If it does in fact ape the Precision Concept sedan, which I must say I rather liked, that means an end to the huge, garish, silver shield grille (or “beak”) that pretty much everyone hates. I am glad to see it potentially go and I will not miss it. 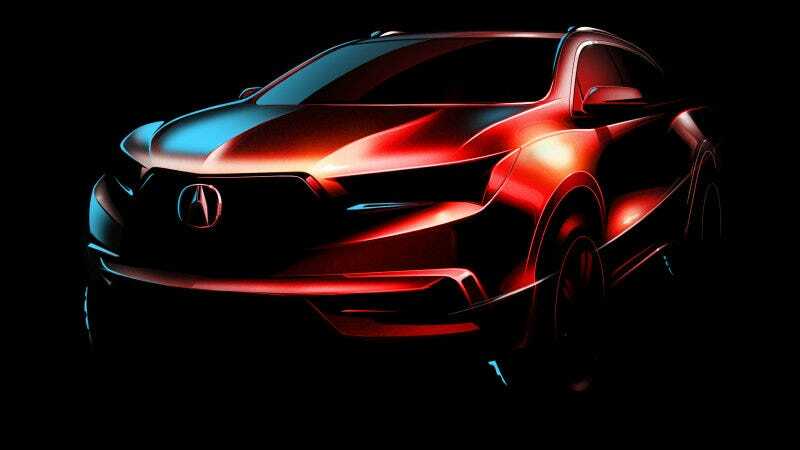 Correction: An earlier version of this post said the MDX will debut in Geneva; it’s actually set to debut in New York. You’ll have to wait longer for it, and I’m sorry for that.